The qualifying draw for the 2019 AFC Asian Cup was held in the Emirati capitol of Abu Dhabi today with representatives of 24 nations in attendance. Last minute adjustments meant Kuwait were finally excluded from the draw alongside Guam who had to pull out due to financial difficulty. 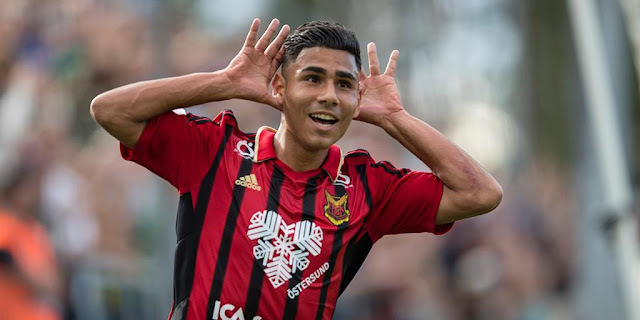 On the eve of the draw, it was revealed that Palestine's opponent in the first phase of qualifying- Timor Leste- had been found guilty of fielding ineligible players. Palestine unexpectedly drew against the minnows in a game that fielded seven Brazilians- one of whom was Neymar's former teammate at Santos. That result played a role in Palestine being ranked as a second seed as opposed to a first seed. 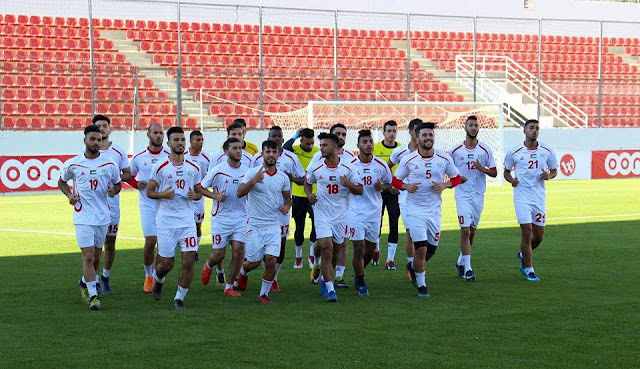 Before the draw, followers of Palestinian football were eager to avoid a frosty trip to Pyongyang in March of next year and the prospect of playing Lebanon- who could conceivably get Palestine's home match moved to neutral ground. When the dust settled Palestine were placed in a manageable group that included Bhutan, Maldives, and Oman. Palestine have never played against Bhutan and will face the underdogs on back-to-back match days. Traveling to Bhutan on September 5th and then hosting the Himalayan side on the fourth match day, slated for October 10th. Palestine open up proceedings against Maldives in Malé a fitting opponent given the fact that Palestine's road to the 2015 AFC Asian Cup in Australia went through the archipelago. Palestine have twice faced Maldives- with both encounters coming in the group stage of the now defunct Challenge Cup. Palestine were comfortable 2-0 winners in 2012 before playing out a convenient scoreless draw in 2014 that saw both teams progress to the knockout stages. Palestine's lone match against Oman ended in a 2-1 defeat during the 2012 WAFF Championship. 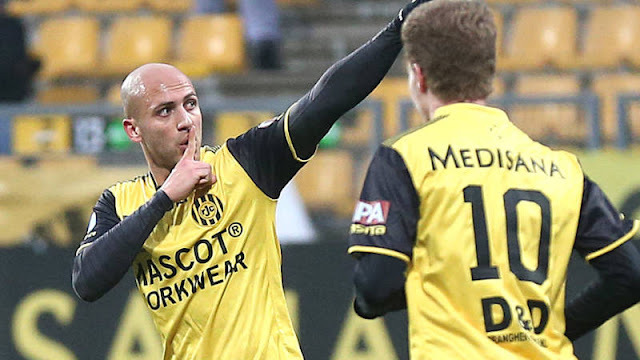 Imad Zatara scored the lone goal for Al-Fid'ai that day. Palestine will host the first match- during Ramadan- on June 13th. Oman hosts on match day six with the encounter expected to crown the winner of the group. On the face of things, Palestine is in one of the easier groups having avoided group B which would have made qualification less of a certainty and risked one or more home games from being played on Palestinian soil. As it stands now you would expect Lebanon and the Koreans to qualify directly. India is a big winner in the draw- they should be able to collect six points from Macau- and at the very least- avoid defeat at the hands of Myanmar. No doubt that the big wigs at FIFA and the AFC are happy to see luck smile on the world's second most populous nation. 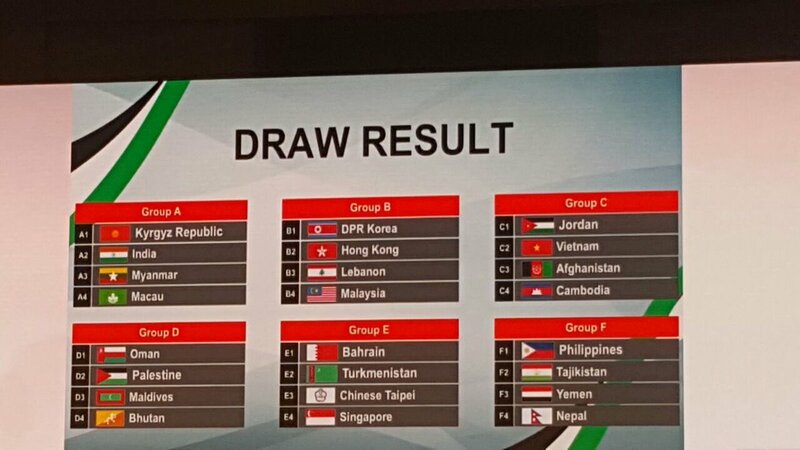 Group C throws up a series of interesting matchups with two southeast Asian nations drawn up against central and western opponents. Cambodia are the whipping boys of the group but watch out for Afghanistan who could upset Vietnam's quest to return to the Asian Cup for the first time since 2007. Turkmenistan in Group E will look to return to the big dance for the first time since China 2004. 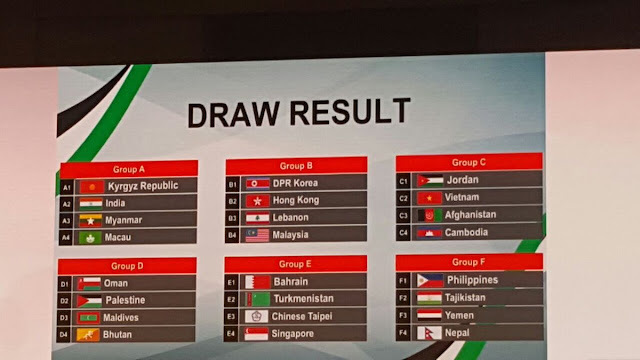 While Chinese Taipei was far and away the weakest team in Pot 3 both Bahrain and the Turkmen will have wished for an easier Pot 4 opponent than Singapore. Rounding out the groups: Philippines were 90 minutes away from qualifying for the 2015 AFC Asian Cup and will need to be at the top of their game to qualify for this event. Yemen secured their only win of 2018 World Cup qualifying against the Philippines and the war-torn nation will feel confident of repeating the feat in 2017. An away trip to Nepal- a place renowned for shoddy infrastructure and bumpy pitches- will also provide unique challenges for Thomas Dooley and his charges. Want to look good while you support the Palestine national team? 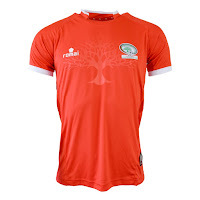 Why not pick up an official jersey at our online store. Pricing starts at 55 Euros with FREE worldwide shipping. Click here to purchase!